The 64GB version is available for pre-order in Sterling Blue directly from Motorola. No indication if there is an increase in RAM to 4GB. It's now also available on Project Fi. I ordered one this weekend since it was on sale. I have a 32GB Moto X4 but wanted more memory. I just sent back my Pixel 3 as it just didn't wow me for the money. I started with the original Moto X and still have two of them plus each generation as well as a Z Play and none of the other phones I have tried have made me change. Mine is sterling blue as is my 32GB one. I didn't realize it was the Android One versions so it is missing a few Moto features that my other one has but otherwise it is fine. I set it up yesterday so today will be my first full day with it but I don't expect anything to be that different. I am on AT&T and everything has been great with all of my Moto phones since the original Moto X. If the Moto X line does not continue then I will soldier on with my old phones for as long as I can. I am so used to the chop for flashlight, twist for camera, three finger screenshot, that I just don't like to do it any other way now. I also don't like the new tall skinny 18:9 screen ratio of all of the new phones. I tried the Galaxy S8 last year and the Pixel 3 last week and sent them both back after about a week. The Moto G6 is a nice phone but it has gone to that 18:9 ratio too so that is out for me. Glad you like yours and let's hope that Moto offers us another generation but it doesn't seem like it from what I have read so far. Do you have VoLTE on your Moto X 4 while using ATT? Second day with Z3 Play and I'm ready to return it. Battery is a much bigger let down than I expected. I knew capacity is lower by 20 % but performance is like 30-30l5% worse than on my old z play. I don't like the screen ratio, speaker is weaker and just when I hoped to get a phone with a good microphone while in speaker mode (z play is bad and z2 play as well) I was disappointed again. I actually sound worse than on the others (cutting in and out a lot). Screen is actually worse than on original z play. Now, I'm on continuing search for a phone that is certified for ATT's network and checks some of the important boxes for me. Moto X4 was off the list because Active display (still haven't found nothing better) should not be paired LCD screens. Price was also too high but at 300 and below I might consider it if I can use VoLTE. Or grudgingly buy ATT branded Z2 force for $299. I don't like the screen and skinny battery, but apparently it's not much worse than Z3 Play. Just hate carrier controlled OS. 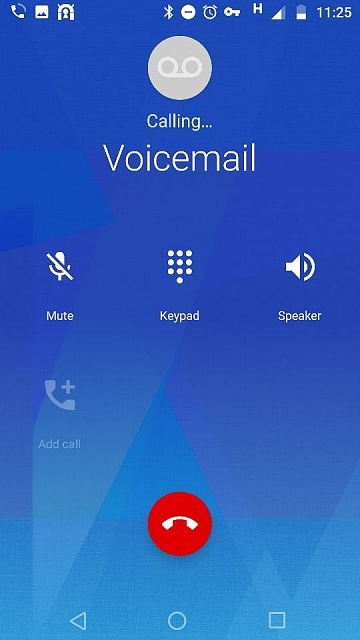 VoLTE is working for me on TMobile same with WiFi calling. Can't say for sure if it would on AT&t but don't see why it won't. One way to find out is check the Moto site they do list some compatibility or ask Moto support. They confirmed those things would work on tmo for me. Unlike Verizon and T-Mobile, ATT is more strict on certification for VoLTE. All of my unlocked Motorola phones (From Moto X, XPE, to z/z2 play, G5S) had VoLTE with VZW and none of them with ATT. I didn't even have to trick them with IMEI or anything. It's all over the forums. There are very few devices that are certified. Pixel line, essential phone, Z3 play and a few other models. Sounds like a way to get people to buy phones from their stores at their prices. Though, they were some people w experience talking about the technical issues behind it and some regulations on Reddit. It's complicated in a way, but seems like the efforts to resolve it are not there on ATT part. I was on Cricket for a while too. They don't support VoLTe on Cricket as far as I know. It's the att network but other than using the same they are a bit different. Speed caps and calls on that network were hspa or older means. I thought verizon had the toughest certification tests for phones of all 4. Not sure if I have VoLTE or not as I never really thought about it. How do I check that? 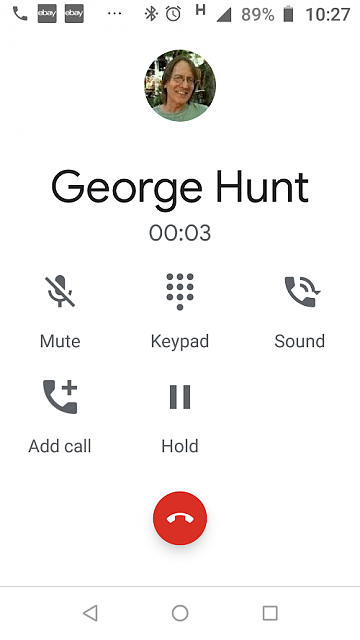 2) dial any number that will ring and wait to connect. 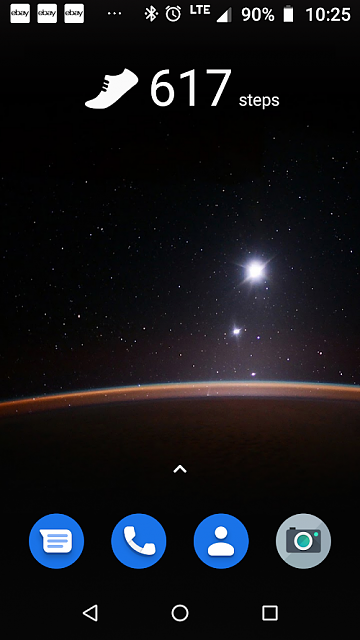 3) watch the status connectivity status bar in the top right corner. While in call it has to be LTE at all times. At times (when connection is very poor) it won't drop it in dialing mode, but in that circumstance the call doesn't get connected anyway. It just gets stuck on "dialing" screen. But then it goes to H when the call starts. The phone I am calling is also on AT&T and is a Note 4 so I am not sure if that makes a difference. I thought I had read that AT&T said both phones had to be compatible and I am not sure if the Note 4 is. Ok. It looks like it doesn't have VoLTE activated. BUT, it may be able to get it once you do some tricks. I had the same issue with Z3 play when I just placed the old SIM in it. 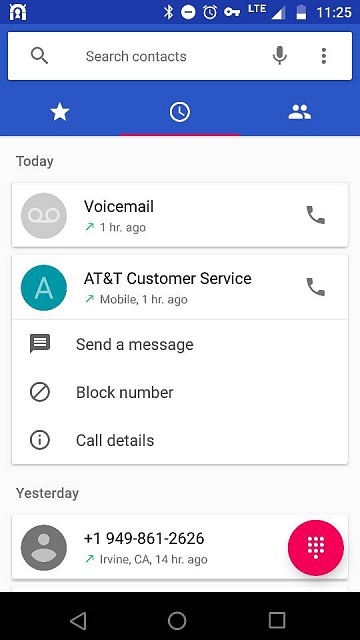 But, once I called ATT Customer service and asked to have my imei updated on the line used (you have to give them any IMEI of ATT branded Android phone) it worked. Note : this trick works with very few unlocked devices - i.e. not for Z / Z2 Play. Unfortunately, the battery and overall experience with the phone wasn't good enough for me to keep it. So, for your own sake , you should try when you get a chance. Happened to me in a few brief days with Z3 Play while I was trying out OG Moto X. Why am I unable to copy a ROM onto my phone? Why am i failing to log in to my email?